How to choose wood acoustic tiles for your project? 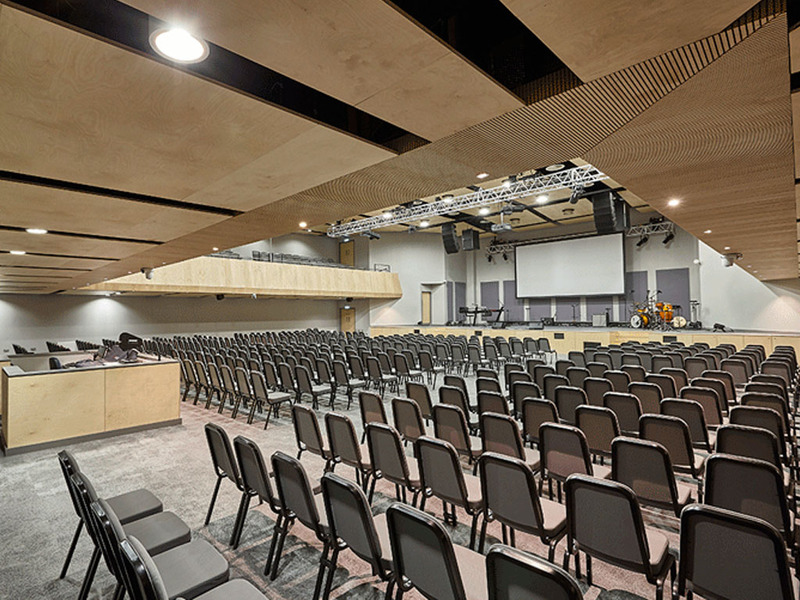 What kind of acoustic ceilings do you want? At this point you can identify two main types of wood ceilings with acoustic tiles: removable ceilings and accessible ceilings. Wood removable ceilings are those that allow for quick and easy placement but that, in some cases, do not allow for sockets everywhere. Accessible ceilings, on the other hand, do allow it and while the removable ceilings force you to dismantle the entire ceiling to replace a panel, accessible ceilings allow for quick replacement of wood panels in the exact location on the ceiling where you wish to place. Spigogroup has three brands of tiles for wood ceilings: Spigotec, with 40 different models of wood acoustic tiles; Spigoacustic, which offers another 30 different models and Spigoline with almost 20 models of acoustic tiles with wood slats. 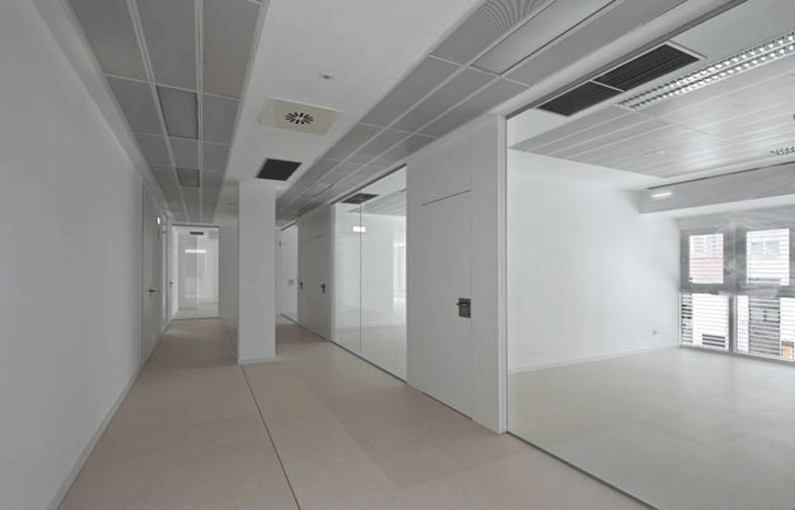 Each of them has a different acoustic absorption depending on the needs of your project. With regard to support, there are different types of ceiling tiles, Standard MDF, Fireproof MDF, water resistant MDF and plywood. 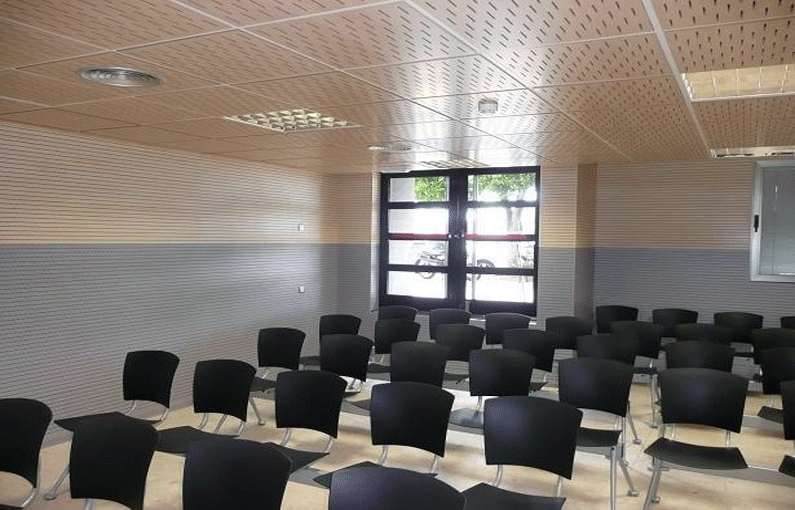 Once you have chosen the desired acoustic absorption and the type of support for the ceiling tile, you need to decide on the finish. There are many options: melamine (white, stainless, maple, beech, oak, pear, cherry and wenge) natural wood (maple, beech, oak and cherry), through-dyed MDF (blue, green, red, yellow and grey), custom lacquered and HPL. The Spigoline models of acoustic tiles made with wood slats include a natural obeche wood finish, wood shade obeche wood (beech, oak, cherry and wenge) or RAL colour shade obeche wood (white, orange, red or green).